Soft Wall is a wall for defining, dividing and storing is a soft, functional, sculpture-like piece at the same time. 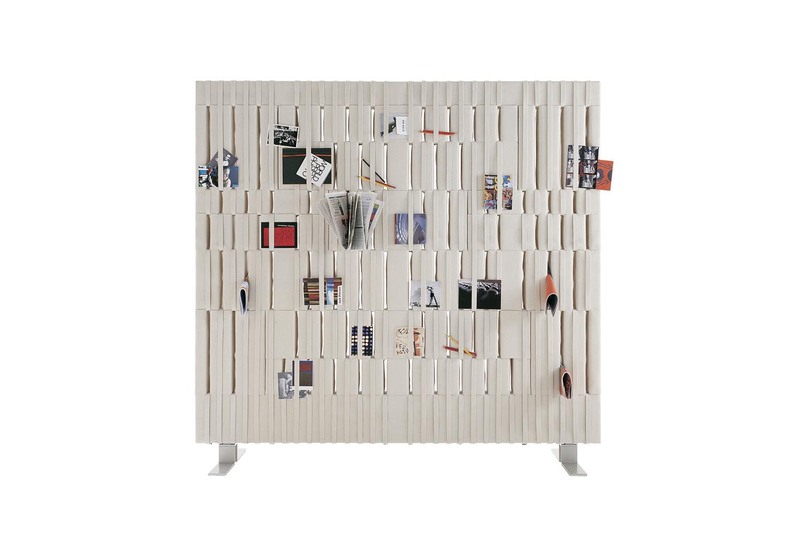 A soft, functional, sculpture-like piece, Soft Wall is the ideal solution for defining, dividing and storing. 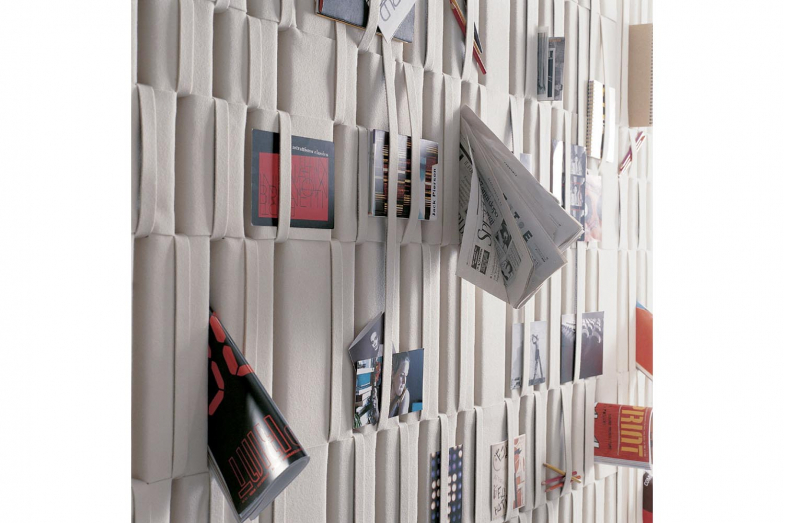 Designed to accommodate the objects we need only from time to time (which would otherwise take up space on small tables, on shelves and in containers), Soft Wall is also a dividing wall that can be used in both the home and office since it adapts to the requirements of the location where it is used. 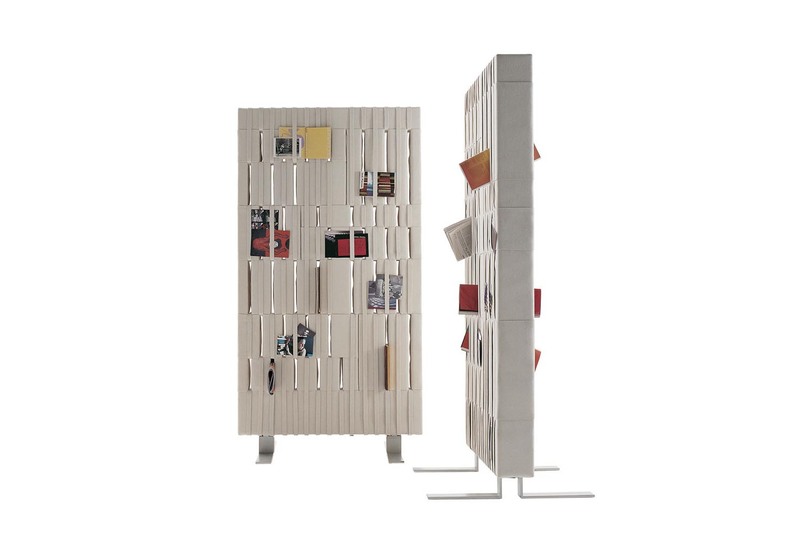 Crafted in felt and available in two sizes, it rests on a metal frame.